This series documents a fundamental element of Austria's most recent compensation measures dealing with the consequences of the National Socialist era. The possibility of in rem restitution of property seized during the National Socialist era which is now publicly-owned was provided for by the Washington Agreement of 2001. 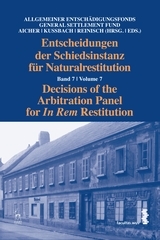 The Arbitration Panel for In Rem Restitution, established with the General Settlement Fund for Victims of National Socialism in Vienna, decides on applications for restitution. For the most part, the applications concern real estate that was confiscated between 1938 and 1945, was publicly-owned on the Agreement cut off day (17 January 2001) and in many cases had already been the subject of restitution proceedings after 1945. 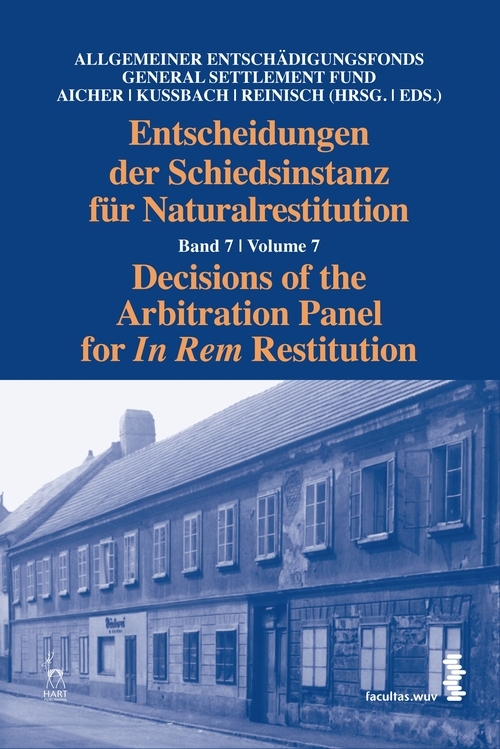 Volume 7 contains 16 decisions of the Arbitration Panel from 2009, each in the German original and with an English translation.